Product prices and availability are accurate as of 2019-04-20 12:59:59 EDT and are subject to change. Any price and availability information displayed on http://www.amazon.com/ at the time of purchase will apply to the purchase of this product. 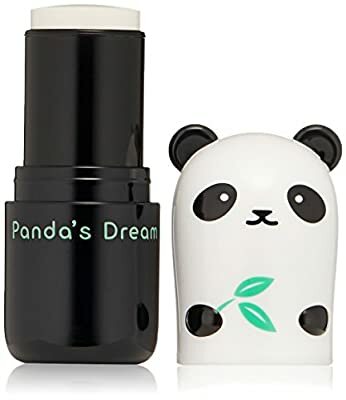 This portable panda eye base helps alleviate those dark circles with Pearl Extracts, Chrysin, and brightening peptides. Formulated with Bamboo Extract to soothe the skin, this base can also be used as a primer to instantly brighten up the look of dark circles at home or on the go. Bamboo Sap, Bamboo Shoot Extract - Soothes and calms skin. Pearl Extract - Brightens and illuminates complexion. Chrysin - Skin conditioning, anti-inflammatory, and antioxidant agent that will relieve tired skin.